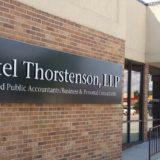 For over 80 years Ketel Thorstenson, LLP has been providing public accounting services to the Black Hills region. Find your future at Ketel Thorstenson, LLP where a career provides an opportunity to work with experts in the public accounting field and growth opportunities to CPAs, accountants, bookkeepers, and administrative staff. Come define your future at the largest firm in the Black Hills. The firm offers more than just a competitive salary. We ensure it’s worth your time and talent by offering a 401k retirement plan, life insurance, employee referral program, and tax season incentives. Don’t forget the benefits package that includes medical, dental, vision, flexible spending account plans, and discounted membership at the YMCA. Whether you need a day off to hike in the hills, are recovering from an injury, or are a new parent, we’ve got you covered with PTO, extended illness leave, conditional leave, parental leave, and flexible work schedules. Don’t forget the eight paid holidays because everyone needs time with family and friends in order to create lasting memories. We value your knowledge and continued education. If you plan on taking the CPA exam we’ll help pay for it, give you a nice bonus & raise, and help you maintain it through various continuing education opportunities. Don’t forget those advancement opportunities and maybe one day partnership. Whether it’s the after-hours happy hours, annual golf outing, family picnic, pumpkin carving contest, holiday party, annual open house, or end of tax season party, you can be assured that we like to have fun. We believe in making an ongoing effort to contribute our time and money to Rapid City and the greater Black Hills community. Whether it’s the arts, education, special interest groups, or non-profits, the firm encourages you to get involved.